Angelica Alviso, a long-time associate of Larry Wyatt has returned to work alongside the team at Wyatt Design Group as Senior Facility Architect. Previous stints with Wyatt include Warner Bros. Int’l Recreational Enterprises in the 90’s contributing to WB Movie World Spain and Germany theme parks, and several years at MSI Design contributing to Thea Award-winning recipient Busch Gardens Jungala attraction in Tampa, and Happy Hollows Park & Zoo in San Jose, also providing construction administration during the construction of both; and Hershey’s Chocolate World Strategic Master Plan for The Hershey Company. Angelica has an impressive resume working on major theme park projects around the globe. As Sr. Facility Designer and Project Architect for Walt Disney Imagineering, she contributed to the themed attractions Tron – Shanghai Disneyland, Toy Story – Shanghai Disneyland and Walt Disney Studios, Beauty and the Beast – Disneyland Tokyo; as well as Tower of Terror Tokyo Disneyland, Disney’s California Adventure, Disneyland Paris, and Facility Designer on Disney’s Wild Animal Kingdom, Disney MGM Studios Sunset Blvd, and Disneyland Paris’ guest entry. With architectural firm Cuningham Group she was the project lead at Universal Studios, Shanghai. 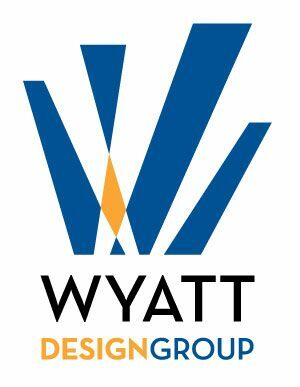 Specializing in collaborating with artistic and creative directors to create functional architectural environments that support the story and narrative of attractions and guest facilities, as Senior Facility Architect at Wyatt Design Group, Angelica will be designing retail and dining facilities, rides, and shows for Wyatt Design Group’s global projects.